This Ginger Soup is my mother’s original recipe. The ingredients are ginger, garlic, soy milk, onion, carrot and so on. Because of this, the dish makes you warm, helps your digestion, improves immunity, and speeds up your metabolism. I used to have the dish when I didn’t feel well. The dish has great flavor and incredible taste. The nutrition in Napa cabbage is similar to that in regular cabbage, but it is lower in carbohydrate and calories than cabbage. Napa cabbage has Isothiocyanate, so it is good for digestion. 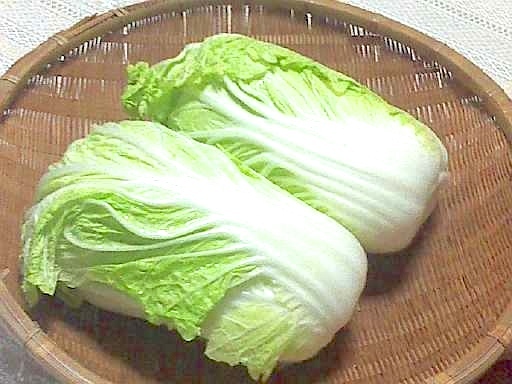 Importantly, Napa cabbage is an ingredient essential for Buddhist cuisine. Buddhist cuisine is a dish for Buddhist monks who are forbidden from eating meat and fish (Mahayana Buddhism). There are several detailed rules for cooking Buddhist cuisine. Using the following in one meal. In Buddhist cuisine the focus is on the minimum nutrition necessary for a human being. The goal is to not take too much energy and nutrition, and to be grateful for all life on earth. Recently, people on a diet or who have been fasting tend to eat Buddhist cuisine after finishing the diet or fast, because it is easy on the stomach and healthy. We can have real Buddhist cuisine in some temples so it is popular with foreigners too. 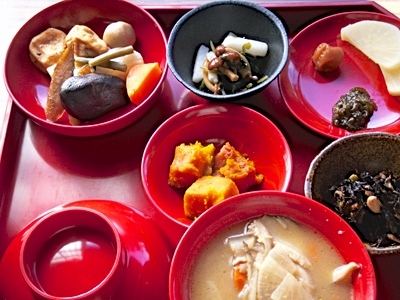 Japanese healthy diets are based on Buddhist cuisine. On my site, there are some dishes that reflect Buddhist cuisine. Enjoy this healthy ginger vegetable soy milk soup! Categories: soup | Tags: Delicious, Digestion, Easy, Ginger, gluten free, Healthy, Homemade, immune system, Isothiocyanate, Japan, Low calorie, Low carbohydrate, metabolism, Nutrition, Vegetable | Permalink.